Our pre-kindergarten program is designed for students between the ages of 4 and 5 years old. We keep our student-teacher ratios low, which means children always have access to consistent, focused care. With teachers trained in Early Childhood Education, we balance teacher guidance and student initiation for a learning-focused environment that fosters independence and confidence. Depending on location, we offer state-funded and/or private pre-kindergarten programs. We believe in the importance of comprehensive learning, integrating minds, bodies, and circumstances to foster a learning environment under the guidance of our teachers. One of the main objectives of our curriculum is to prepare children for school. We get our students ready for the transition from preschool to kindergarten, establishing a trajectory for academic success. We emphasize a strong focus on math and literacy skills to give your child a head start in learning. We want to equip students to become active readers and develop their problem-solving skills. 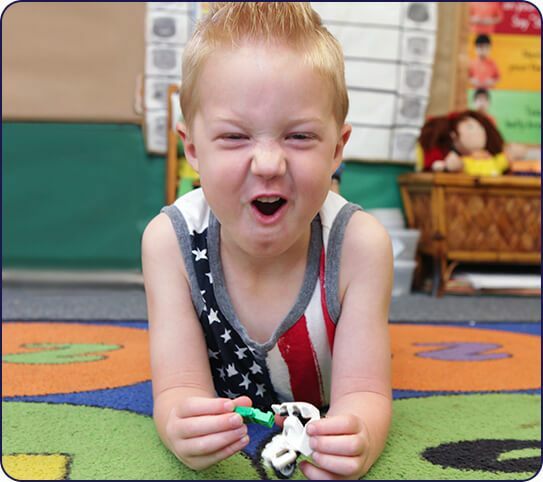 Overall, Discovery Point’s pre-kindergarten program emphasizes multiple areas of learning and growth because we want our students to succeed in every area of school and life. We understand developmental stages and how to provide personal instruction and attention to enable children to grow as individuals and initiate opportunities to learn. Discovery Point strongly believes in the importance of comprehensive learning, integrating minds, bodies, and circumstances to foster a learning environment under the guidance of our teachers. The earlier your child can establish a connection to the power of learning, the more successful their future academic pursuits. To schedule a tour to learn more about our pre-kindergarten program, find a center near you to get started today!